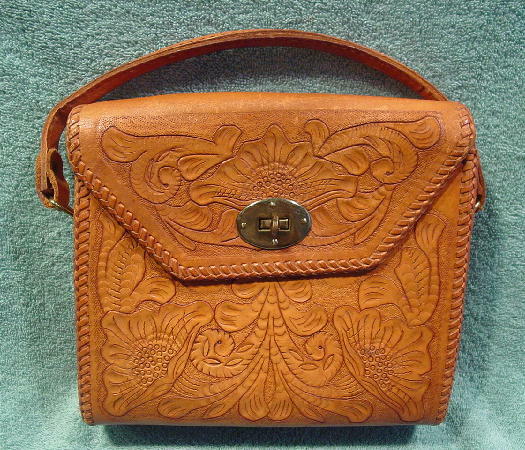 This vintage tooled leather handbag is in a camel-light caramel color. It has a dark brown synthetic lining with a thin zipper pocket with a leather R zipper pull. On the opposite interior side is a little open pocket. 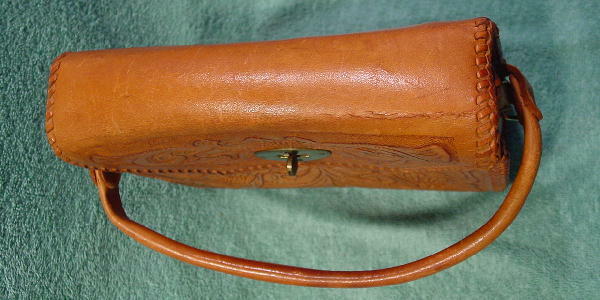 The edges are braided, and it has a thick 16" long handle which is attached to the purse by a gold-tone metal loop and square bar holder. 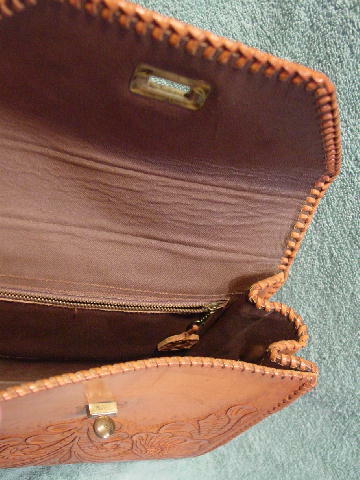 The leather has wrinkles and scuff marks. 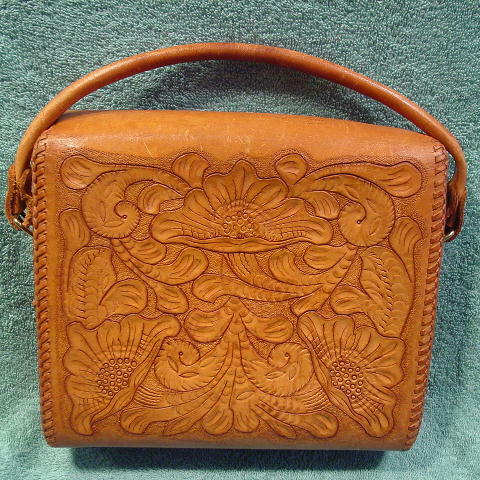 The tooling is in a leaf and flower pattern, but there is no tooling under the front flap.